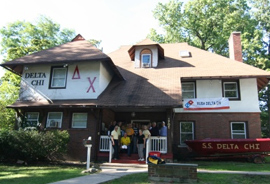 The times at Delta Chi were less ‘interesting.’ We were a smallish house and we certainly weren’t oblivious to the world around us, but the house was a calmer place where we could study, talk about our sports teams, play games (Risk, under the stairs) and have a good time. 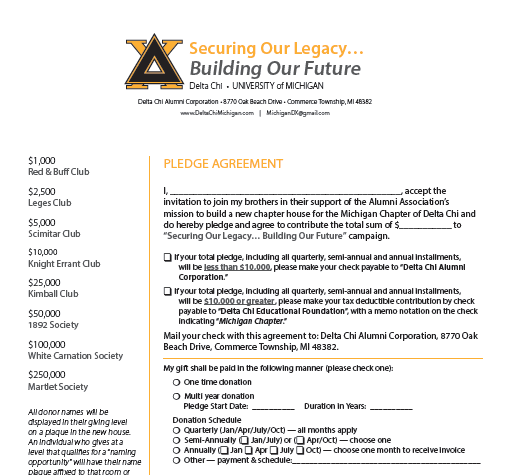 I pledged Delta Chi in my sophomore year, along with Bill Mashinter ‘68, who came to Ann Arbor from the same high school I came from in Barrington, Illinois. I lived in the house for 2 years and was “D” for both years. My first year in the house I shared a study room in a corner off the back stairway with John Haase ‘68. John was a great roommate. We were taking many of the same courses, and he was diligent about studying and a wonderful role model. My second year I was in the basement with Mike Novak ’69 who was a perpetual motion machine and a bundle of energy. There were any number of life lessons that I learned from my brothers. 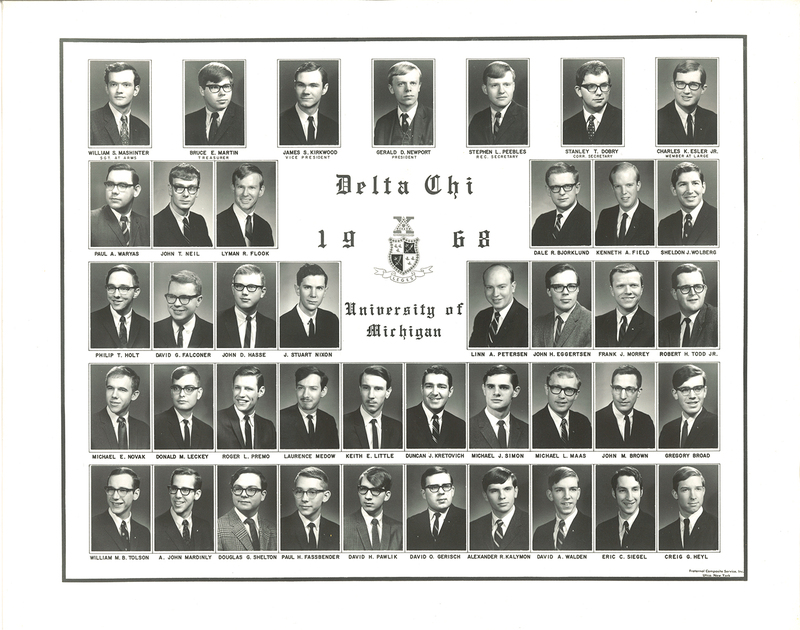 Linn Petersen ‘67 was in charge of maintaining the house. We all learned from him that there would be no house if we didn’t take care of it properly. Carl Rohrbach ‘67 taught that if something needed fixing, complaining wouldn’t cure the problem - you had to take action to make things right. Don Leckey ’67 was a friend whose patience and persistence were helpful lessons for me any number of times. John Eggertson ’68 taught the value of a diet of bananas and peanut butter. By virtue of being “D” I learned that when you have to age receivables you have a problem. John Brown ‘67 was the ”A.” I learned about leadership and the need to maintain perspective from him. After graduation I went to work at IBM in Chicago for 6 months until I was drafted. The army saw a mechanical engineer with a minor in computer science and decided that would make for a good military policeman. I was quite fortunate - incredibly lucky, really - to get sent to Japan for 18 months. When I got home, I returned to IBM where I had 7 or 8 jobs in 10 years and earned an MBA from Northwestern. After IBM I joined a small commercial real estate company, LaSalle Partners (now Jones Lang LaSalle), as employee number 32. When I retired we’d grown to over 8,000 employees. We had taken the company public and I had the experience of being on the floor of the NYSE for the first day of trading. LaSalle also allowed me to attend two Presidential Inaugurations. When I retired I was CEO of our Property Management business (thanks Linn). Along the way I was talked into becoming a trustee in the village where I lived. I still can’t believe that I was elected twice. My role at LaSalle led to me becoming a governing member of the Chicago Symphony. I also was fortunate enough to be asked to serve on the University of Michigan Engineering Alumni Board for 6 years. After LaSalle I joined a small but growing Architecture/Engineering/ Construction company in suburban Chicago where I was the Chief Operating Officer. But most importantly that was where I met my wife Martha. We have been together for 14 years and now live in Burr Ridge Illinois. The times have remained interesting. The lessons learned at 1705 Hill Street proved beneficial through the years and have stayed with me to this day.